"I would highly recommend Chloe as an expert real estate agent. She represented us as a buyer"
"Chloe is an exceptional real estate broker. Throughout my search I was impressed time and time again by her insight, resourcefulness and savvy with regard to complex negotiations. She's forthcoming with her opinion and would do anything in her power to make her client feel at ease. I'd recommend Chloe to anyone looking to buy or sell in Chicago. She's simply the best!" "Chloe was great! She was always willing to help us learn the process as first time home buyers and gave great input. She went out of her way to accommodate us and even helped us deal with difficult sellers. Would definitely recommend her!" "Chloe Ifergan was an ideal realtor. She was recommended from a friend which I think speaks wonders about her professionalism, her candidness and her relationships with clients. As we went through this entire process, I never felt pressured, always felt as if I was being led in the right direction by her and really admired her assertiveness in dealing with sellers and their agents. I consider Chloe a friend and will definitely recommend her services to friends and family who are looking to buy." "Chloe is very customer centric. Quick to follow-up and helped us find our new place. No pressure if the timing, price, location, etc... weren't ideal. She left the decision up to us with no influence from her." "Our experience in dealing with Chloe Ifergan has been great from the first time we met until the closings of (2) properties. Chloe helped us find an apartment as we upgraded in size and she was sensitive to our style, price range, and location. We never felt any pressure to buy when we found something we liked, so her patience with us was a plus. She pays attention to every detail and is always communicating by email, text, or phone no matter what time of day or night. Once we found the perfect transition, we listed our apt with Chloe and she did a great job with photos and marketing. We sold very quickly and she made the buy and sell deals work simultaneously. I would highly recommend Chloe." "Second time using Chloe to purchase a home and she helped make the entire process smooth and easy!" "Chloe did an amazing job -- helped us find a great place, negotiated fiercely on our behalf, and walked us happily through the whole process. Thanks!" "Very attentive, very detail-oriented, truly cared about us seeing places fast and getting us what we wanted." "Tremendous attitude and perseverance to get the unit sold. Went way beyond expectations." "Chloe was excellent, a true professional." "Chloe was fantastic through every step of the process. She was very punctual and assisted me with whatever questions I had." "Chloe was amazing to work with! She is extremely helpful, responsive, and knowledgeable. She even showed us around the city during our drives between apartments. I feel that she went above and beyond in successfully helping me find a place to live." "Working with Chloe was a pleasure. She is extremely organized and follows through on every detail making the selling process completely painless. I highly recommend her services!" "As a first time homebuyer, I could not have ended up in better hands than Chloe's! She explained all the ins and outs of the process, helped me to understand sometimes confusing issues that arise, and fought for me to get a great deal on the best place for me. Plus, she's always a smiling, friendly face." "Chloe is amazing. She was on top of everything and always willing to accommodate us. Being first time home buyers, the process can be very intimidating but she made things easy and was always behind us with our best interest as her priority. I will be recommending Chloe to all of my friends and family looking to buy a condo in the Chicagoland area." "Chloe went above and beyond for us throughout the process of selling our Wrigleyville condo. Her real estate expertise, local market awareness, and wide network were all put to work towards our benefit. She is a high performer and trusted advisor who exceeded all of our expectations." "Chloe went above and beyond for us throughout the process of selling our Wrigleyville condo. Her real estate expertise, local marker awareness, and wide network were all put to work towards out benefit. She is a high performer and trusted advisor who exceeded all of our expectations." "Chloe is very responsive, easy to reach agent. She has given realistic feedback and inputs during the search process. Has a good team." "Chloe has been excellent. I actually tried to rent my unit myself for a month unsuccessfully, and she found two potential tenants in one day. I will not make the same mistake again." "She's awesome to work with! I appreciate her professionalism and helpfulness! I'll definitely be sending any friends her way!" "Chloe was unbelievable. I will recommend her to all of my friends and absolutely consider her when it comes time to buy a place. She was always on top of her stuff, very knowledgeable, and I felt like always looking out for our better interest. She was nice, easy to talk to, and a pleasure to work with. If I could have given her 10 stars I would have." "Chloe was fantastic to work with! She was diligent, knowledgeable, friendly and incredibly responsive. I would recommend Chloe to all of my friends and family." "Chloe made my transition from Boston to Chicago seamless! She was extremely easy to work with, very accommodating of my schedule, and listed and activated on my requests. I would highly recommend her for anyone new to the city or searching out a new place!" "Chloe worked hard to find what would work best for my roommate and I. She was honest with us and helped us narrow our search down so we could choose an apartment that we are in love with!" "Chloe did a fantastic job for us start to finish in the process of finding and buying our new home. She is tenacious in all aspects of getting what is oftentimes a challenging process to move forward with a focus on the wants and needs of the client. I would highly recommend Chloe to anyone in need of a real estate broker and wouldn't hesitate to work with Chloe again. Working with her was a pleasure." "Chloe did an amazing job at getting my condo closed in a short time for a great price. Would recommend her to anyone." "Chloe's level of professionalism and knowledge of the industry is second to none. Further, her responsiveness and ability to clearly communicate was welcomed and appreciated. She kept us in the loop every step of the way! Thank you CHLOE!!" 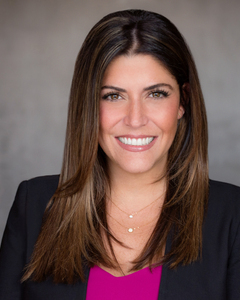 "Chloe's knowledge and passion for Chicago real estate exceeded all of my expectations. She was able to work around my difficult availability to help me find my first home as quickly and painfree as possible! Chloe was there to talk me through my first home buying process every step of the way. Any home buyer would be lucky to work with her!" "Chloe is absolutely amazing! Although we ran into some difficulty with the timeliness of the seller, she was able to guide us through the entire process and set our nerves at ease throughout the process." "We had been struggling to find a place and wanted to sign our lease ASAP. We were able to sign within a day of getting accepted with no problems which relieved a lot of stress." "Chloe is very knowledgeable about marketing practices and current trends; she dedicated much attention to my property even though it was comparatively smaller than average."